Customized translucent sunglasses are cool for any occasion and any season. The one size fits for most adults and these sunglasses can easily get a person noticed amongst the crowd. These colorful glasses can be teamed with matching colored dresses and they look cool on anyone. It is becoming one most favored giveaway during promotional events and personal celebration events such as weddings, birthdays, etc. This translucent personalized sunglass can be included within gift bags or it can be individually gifted for greeting or acknowledging during promotional or family events. 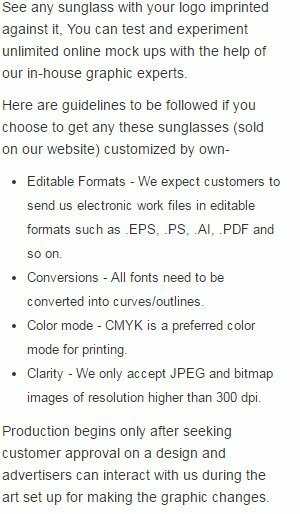 Request a quote to know about value savings that you can make on bulk orders of translucent sunglasses. Imprint area - 2" x 3/8"